It was so slow I forgot to blog it !!!! 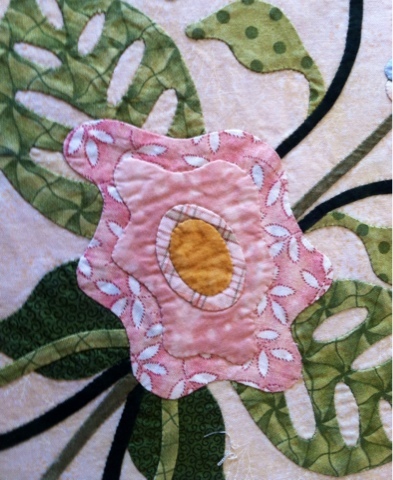 Sunday found me sitting at the kitchen craft table basting my fantasy flowers quilt. I was so happy several months ago when I finished this hand appliquéd quilt top. Then I realized it wasnt done, I had 22 scallops to sew down.....the big ones and the smaller ones too. Talk about a let down.. Fast forward to Friday night and I FINISHED!!!! 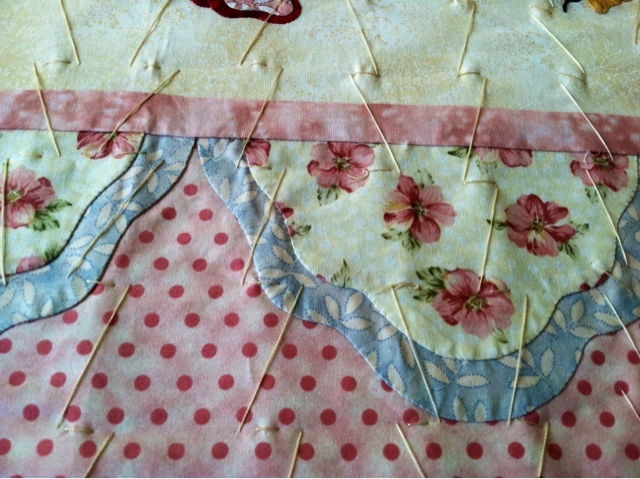 So Saturday I watched a bunch of videos and decided on Sharon Schambers method to hand baste my quilt with embroidery thread. So goes the slow Saturday and Sunday sewing. The good news is I'm almost done and it looks very secure and no shifting will occur when I hand quilt it. I plan to hand quilt it too. 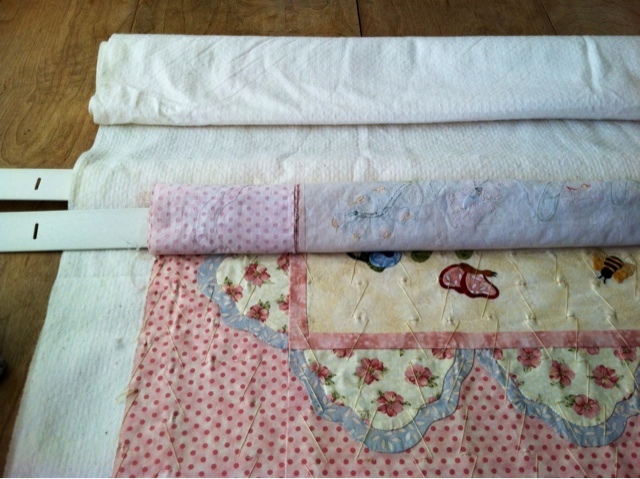 I know, very ambitious for someone who has never hand quilted anything. And it took at least 5 Years to do the appliqué and piecing.